'Go get it, girl!' 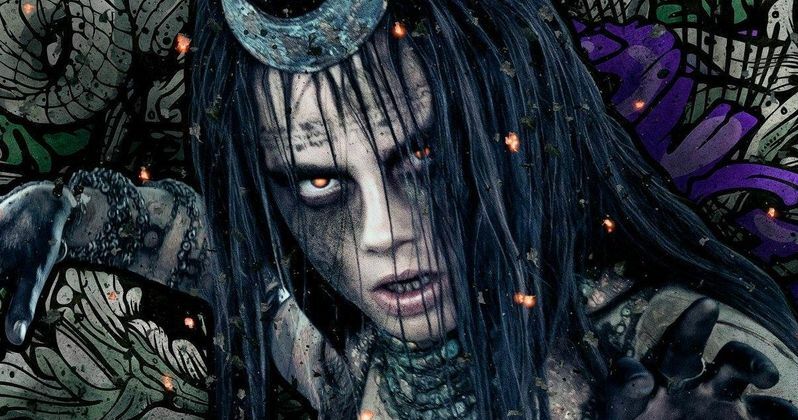 Over the past few days, Warner Bros. and DC Films has unleashed a non-stop barrage of new footage from their latest DCEU adventure Suicide Squad. Now we get the first clip. This latest sneak peek has Viola Davis as Amanda Waller, introducing June Moon to a room full of skeptical government officials. We get to watch as the innocent young woman is transformed into The Enchantress. As Waller explains, this sorceress has walked the earth for a very long time, and she will likely be here when we are all long gone. David Ayer directs Suicide Squad from his own script, based on the DC Comics. We reported earlier this year that Warner Bros. wants David Ayer and Will Smith to return for Suicide Squad 2, which could start shooting in early 2017, but that hasn't been confirmed quite yet. Suicide Squad promises to have a big presence all throughout Comic-Con, so stay tuned for more surprises as the week continues. In the meantime, checkout June Moon's wicked transformation courtesy of Youtube.